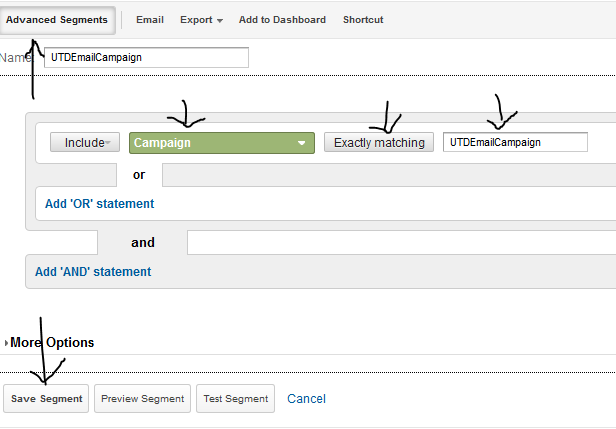 Google Analytics: How to Track an email campaign? 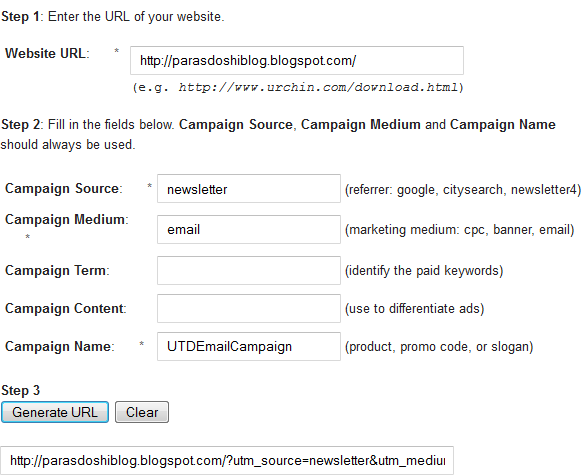 In this post, I’ll share how I learned to track an email campaign via Google Analytics. First up, what do I mean by email campaign? let’s say you email 1000 newsletter subscribers a link (URL) along w/ a summary – How do you track the traffic that is generated via this email campaign? Well – that’s where Google analytics can help you track your email campaigns. One metric would be how may people clicked on that link and visited your site. If you do not measure what’s working or what’s not working, then you can’t improve – can you? Let’s take a hypothetical example. supposing it’s cost you $25 dollars to email 1000 people. How do you calculate the ROI on it? Well – track it! And the tool you can consider using is Google Analytics. 1. First Step is to create an URL. Why do you need this? Basically this URL would have “meta data” that helps Google Analytics identify this link belongs to one of the campaigns. > Here I’ve configured it like shown in the image below. Note the name of the campaign is same as the name of the campaign in STEP 1. That’s about it for this post. your comments are very welcome! What’s “Naive” about Naive Bayes Machine Learning Algorithm? Received President’s Volunteer Service Award! I really enjoy you explaining different things. You make thing easy and understandable. Thanks!